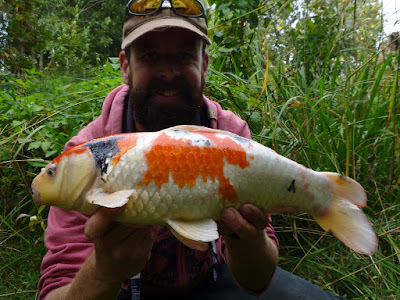 Pike Blog: It's A Koi. This Time! But eventually he found a bait, a proper koi carp - what a beauty! Another fish added to the species hunt. After a couple of photos I released him and wandered downstream to find that ghost. 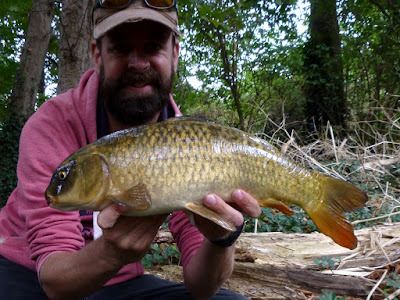 Nice one Brian, there is a big one in the Warwickshire Avon, even the Wife was amazed when she saw it too. See a few of them on the local, but because they are easy to spot they have seen it all before - specifically targeting them is a fools quest... Which doesn’t say a lot about me..!